As a group, Thompson Rivers University’s Indigenous Law Students Association (ILSA) attended and observed Cknúcwentn First Nations Court in Kamloops this spring. 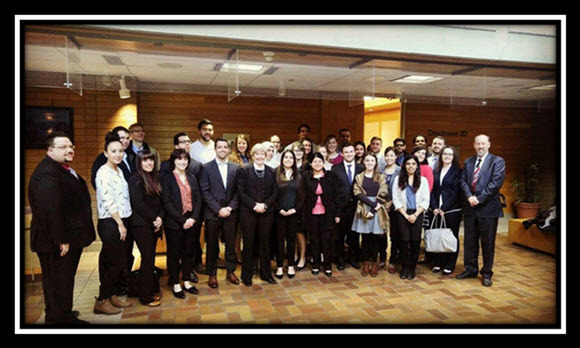 In this eNews, law students Aanchal Mogla, Kaitlin Hardy, Laurel Sleigh, and Kateri Koster share their thoughts on the process they observed. They offer unique and valuable insights into First Nations Courts. “First Nations Court, a branch of problem solving court, is a step in the right direction towards a much-needed modernizing of our current criminal justice system. A court that embraces problem solving and restorative justice in sentencing, it seeks to address the underlying reasons bringing each individual to court with the objective of reducing their involvement with the law. Cknúcwentn First Nations Court is the fourth of its kind in the province and commenced sitting in Kamloops in 2013. 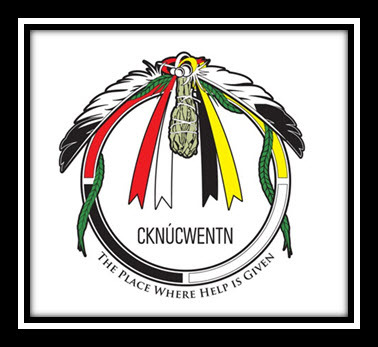 Cknúcwentn, meaning “the place where help is given,” is a court that embraces a holistic approach centered not only around accountability, but healing for both the individual and the community. It brings empathy back into the justice equation by allowing the offender to connect with those they have wronged. A dialogue is created allowing those involved to share the impact the incident has had on them, thereby enabling reconciliation and a way forward supported by the community. The court session commences by way of a smudge ceremony performed by an Elder and is open to all those wishing to participate. The ceremonial act of smudging has been used by Indigenous groups for centuries as a way to cleanse the spirit, prepare the mind for what lies ahead, and bring forth good energy. In court, the ceremony serves as an acknowledgement of traditional Indigenous practices, an engagement with cultural norms, and a grounding for the long day ahead of those involved in the process. What sets First Nations Court apart from regular criminal court is its emphasis on synergy. As a collaborative court, it allows offenders the opportunity to sit amongst the judge, counsel, a panel of community Elders, and any personal or therapeutic support they would like to accompany them. The victim is also invited to sit in the circle, to participate, or observe. The offender is provided with ample time to share their background, hardships, and special circumstances. A discussion is held with the Elders, support, and lawyers about the offending behaviour. Together, a healing plan is created – a plan that can include both traditional and developmental forms of sentencing, such as probation, attending sweat lodges, addiction treatment at an agreed-upon facility, or reconnecting with community. It is this healing plan that is at the heart of First Nations Court and perhaps one of the reasons for its growth over the years. It balances the rigour and requirements of the traditional court system with Indigenous ways of doing and being. Flexibility and practicality are highly regarded when devising the plan to mitigate any potential breaches that could land the individual back in custody, a problem that plagues the courts. For each offender, there is an active discussion and engagement with all parties around the content of the healing plan to ensure follow through. The dialogue shared between the Elders and the offender is another aspect in a list of many making First Nations Court so unique, as it creates meaningful and purposeful conversations. On the day of our attendance, an offender’s battle with alcoholism was addressed by the Elders, who each shared their encounters with substance abuse and their own personal triumphs over addiction. The Elders reflected on the impact it had on their communities and relationships. They had the time to empathize with the offender – an element rarely present in regular court – who expressed his felt shame in attending Alcoholics Anonymous. The Elders were able to consider various healing methods and offer logistical advice to be incorporated in the healing plan. Together, a new healing plan was drafted to help this offender make positive steps forward. The offender leaves court with two key responsibilities: to work with identified support and service providers and to report to court their progress towards the objectives of the healing plan on a monthly basis. If the judge and Elders are not impressed with their performance thus far, they will ‘dress down’ the person under sentence. If they are impressed, they will continue to encourage and support the individual to complete their healing plan and sentence. Upon completion of the healing plan, a blanket ceremony is held at First Nations Court. This final ceremony is rooted in traditional Indigenous healing practices. It denotes a new chapter and is one that participants going through the process strive for. The blanket represents strength against vulnerabilities and the unknown. An Elder wraps the individual in the blanket, and in doing so, offers them protection from the environment around them. This ritual often elicits much emotion as, to many, it signifies forgiveness for harm caused and acceptance back into their community. The blanket ceremony not only signifies a clearing of their name for a crime, it also demonstrates growth. The many who make it to this stage acknowledge how transformative the healing plan has been to many areas of their life, making the conclusion of this process that much more fulfilling for all involved. While there is minimal information on recidivism rates, there is anecdotal evidence to suggest a difference is being made. Through conversations with all parties involved and those researching the impact of First Nations Court, there is growing support for this specialized court and the effect it has not only on the offender and victim, but the community as a whole, communities that are usually quite close-knit. As Elders of Indigenous communities are amongst the most respected and traditionally are knowledge keepers, having the offender face them directly has the effect of instilling a sense of family and purpose they might not otherwise have but that is so necessary for all individuals.